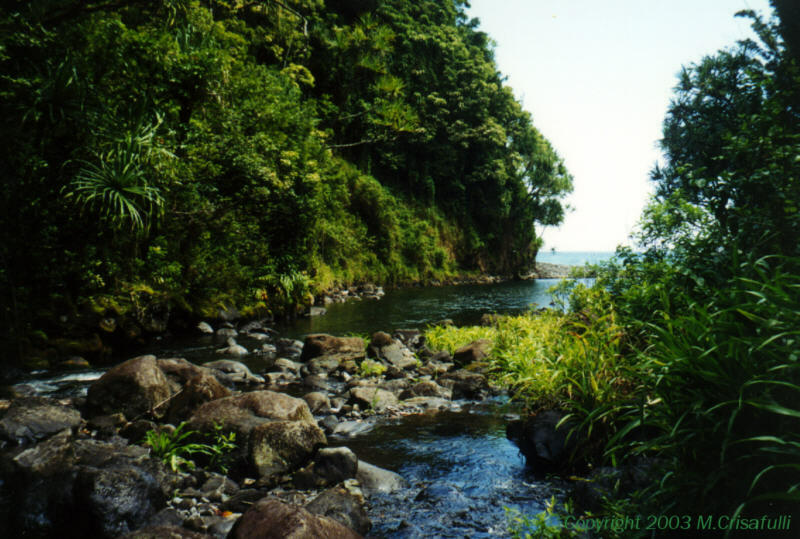 Our second field location was farther along the road to Hana and required a much longer hike to the stream. We quickly left the van on the side of a mosquito-infested road and began a long downhill hike through a changing rain forest to the stream. 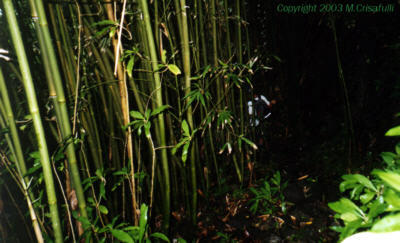 We went through thick and dark stands of bamboo and even walked along part of the "King's Highway", built for messengers of the Hawaiian king. Finally we were treated to the beautiful stream bed sea level location and began our survey work. 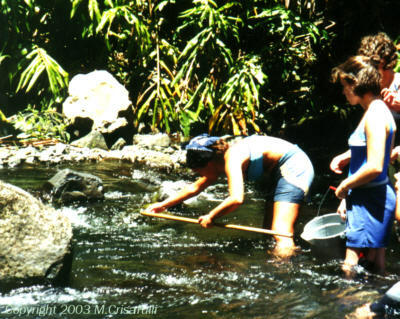 Among our tasks were setting and checking traps in the stream. Mollie checks a modified Breder trap at left. 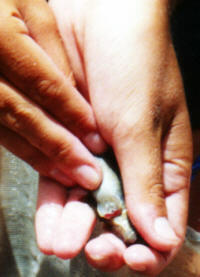 The goby, a small fish with a sucker on its belly that allows it to resist the downstream flow and climb waterfalls, was one of the subjects of the research. 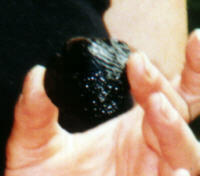 The other major research subject was the limpet, usually much smaller than the one below. Mollie performs stream velocity measurements at right. The technique is simple: drop a film can in the stream, time its travel along a meter stick several times, and average the readings. Counting and cataloging the aquatic life caught in the traps and correlating this with stream flow data and trap location is all part of the statistical process to describe the stream ecology.